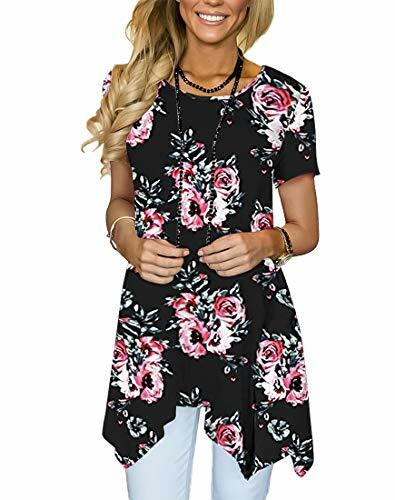 MATERIAL: 95%polyester, 5% Spandex.Stretchy and soft material makes you feel comfortable. 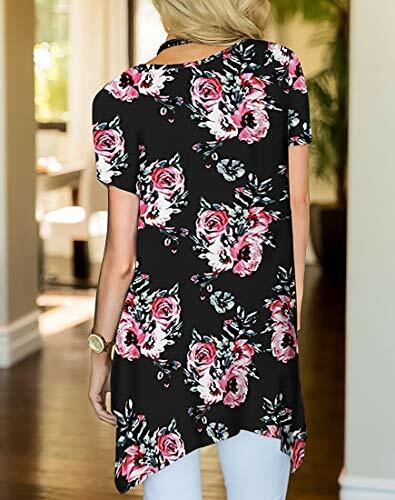 DESIGN: casual tunic style,loose fit,floral print,scoop neck,short sleeve;Four colors for you to choose,pink/blue/brown/red. MEASUREMNET: S(US 4-6),M(US 8-10),L(US 12-14),XL(US 16-18); Please use the Size Chart Image on the left.If you are not sure about size, feel free to contact us.